Checking on items you have assigned to other team members. Step by step directions to check in and follow up on notes and emails that you've assigned. If you have a need to check up on an email or note that you've assigned to a team member, you can find this information in your To-do section. 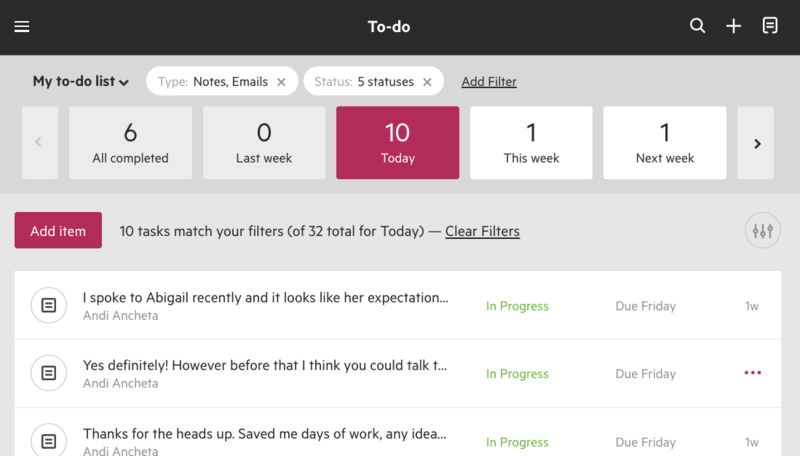 From your To-do section, add a filter to select emails and notes. Add another filter to select all statuses. 3. Click on My To-do list and select To-dos assigned by me. 4. Click on your sorting button to view items by Assignee. 5. 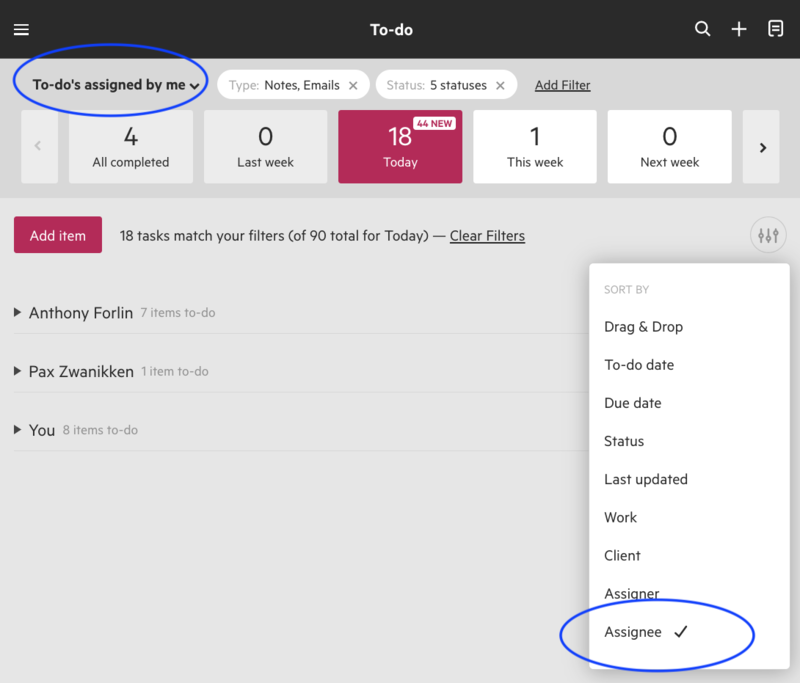 Expand a colleague's area to see what he/she has completed and what's to be completed.